4 Bedroom Terraced House For Sale in Rochester for Guide Price £300,000. Guide Range: 300,000 - 320,000. 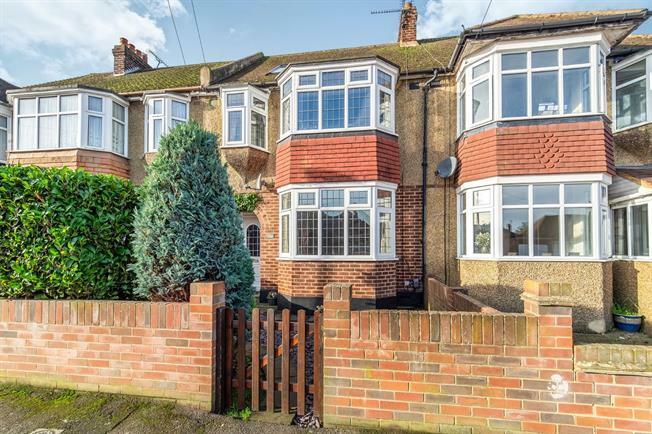 This well presented property has been decorated throughout by the current vendor and comprises of; lounge with bay window and feature fire place, open plan kitchen diner with plenty of space. The original outbuilding houses the washing machine and tumble dryer . To the first floor are two double bedrooms a single bedroom and family bathroom. There is a large master bedroom to the second floor. Externally there is a low maintenance rear garden with well established shrubs and boarders. This property is offered with no onward chain and must be viewed to fully appreciate what it has to offer.